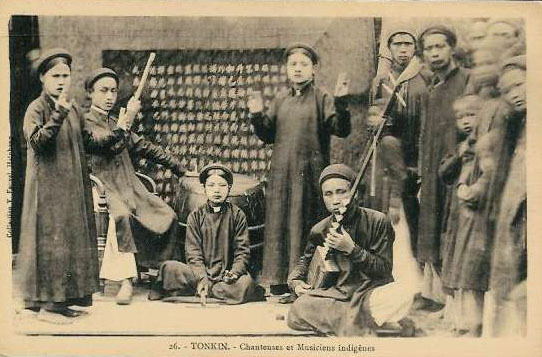 Although Vietnamese music is highly influenced by Chinese (Vietnam was ruled by China for almost 1000 years! ), the are many distinctive instruments, especially stringed lutes with raised frets. 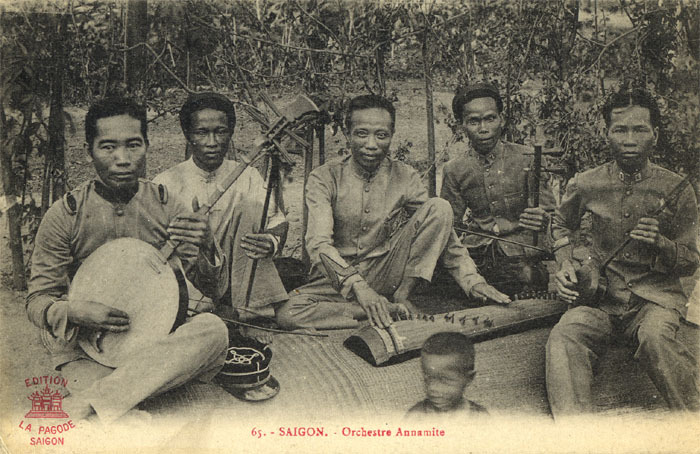 Here’s a few old postcards depicting Vietnamese musicians and some unique instruments, ca. 1900-10. 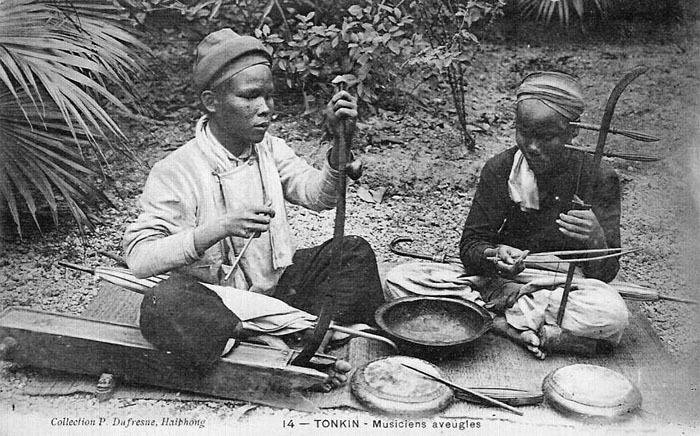 On the left, the single string Dan Bau. On the right is the two string fiddle called Dan Nhi. Another uniquely Vietnamese instrument with raised frets, the Dan Day. L to R; another raised fret instrument is the Dan Nguyet (in the south called Dan Kim), a bowed Dan Nhi, the Vietnamese zither called Dan Tranh, I can't quite make out the next fiddle, but I think it's a Dan Gao, and finally the Dan Tam, related to the Chinese sanxian.